Ursula Vernon (broadcast 12-01-2014) — A “focus on speculative fiction” episode with co-hosts Samuel Montgomery-Blinn and Mur Lafferty, interviewing author and illustrator Ursula Vernon. 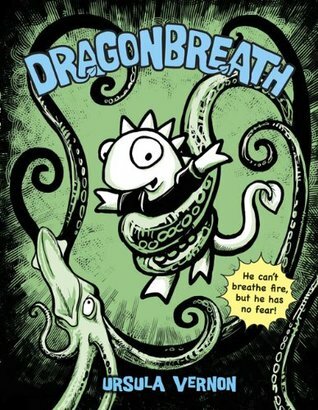 Hugo Award winner Vernon is the author and illustrator of the Danny Dragonbreath series of children’s books, and (as the pseudonymous “T. Kingfisher”) stories and books for adults. We also discuss our “best reads of the year” in science fiction and fantasy and (of course) run down the local event and book calendars. This entry was posted in Uncategorized and tagged danny dragonbreath, Mur Lafferty, podcast, samuel Montgomery-Blinn, sfpodcast, t kingfisher, ursula vernon. Bookmark the permalink.